View cart “#98257 XD1000/1v2” has been added to your cart. 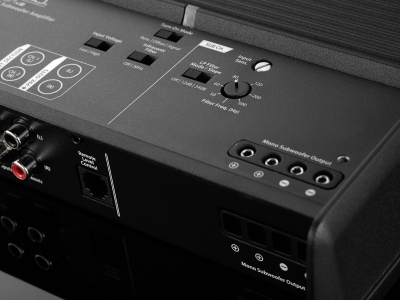 The XD700/5v2 is ideal for a complete audiophile-grade, subwoofer + four satellite system, and it fits comfortably in just about any vehicle. 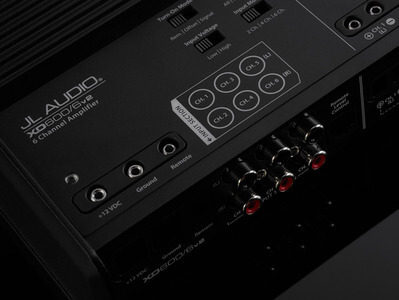 With this incredible little amplifier, you can drive two pairs of quality component speaker systems with plenty of clean power (75 W x 4 @ 4 Î©), while also delivering a stout 300 W of power to a subwoofer system. 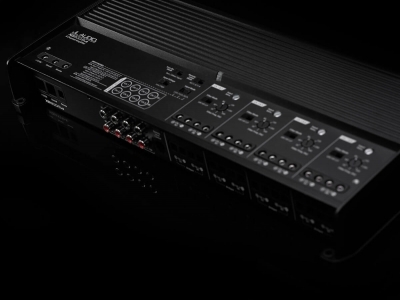 The breakthrough that makes this much power possible in such a small chassis is our NexDâ¢ switching design. 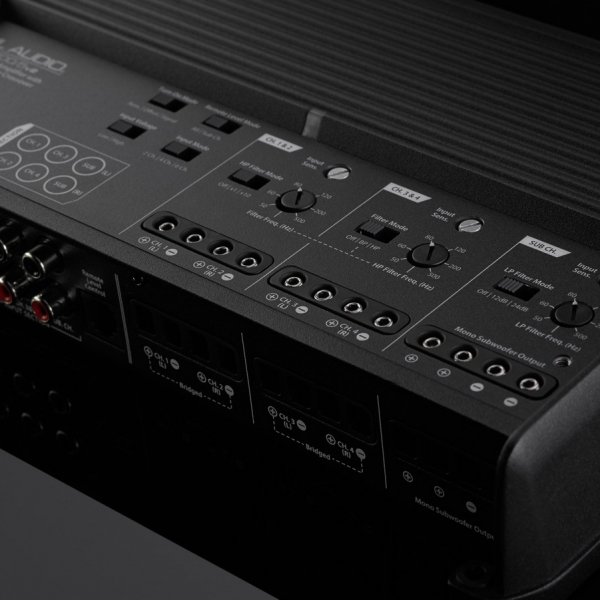 The XD700/5v2 includes a 12 dB / octave high-pass filter for one main channel pair, a 12 dB octave high-pass or bandpass filter for the other main channel pair, plus a variable slope low-pass filter for its subwoofer channel. 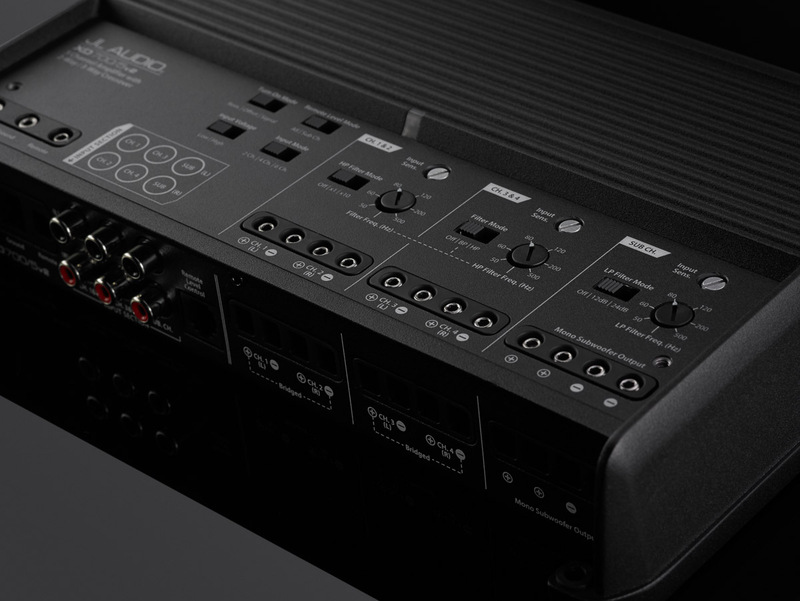 All three filters offer continuously variable cutoff frequency selection from 50-500 Hz. 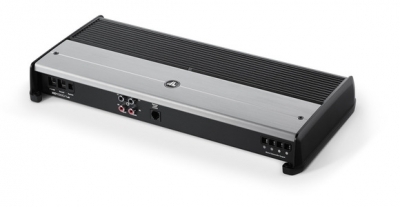 This amplifier’s filters can also be configured as a true 3-way crossover, with a low-pass filter for the subwoofer channel, a bandpass filter on Ch. 3 & 4, and a high-pass filter on Ch. 1 & 2. An “x10” multiplier switch on the Ch. 1 & 2 high-pass filter allows its cutoff frequency to be adjusted from 50-500 Hz or 500-5000 Hz.